A large study from Children's Hospital Boston and the Boston-based Autism Consortium, and collaborating institutions, has found that a genetic test known as chromosomal microarray analysis (CMA), which samples the entire genome, has about three times the detection rate for genetic changes related to autism spectrum disorders (ASDs) than standard tests. The authors urged that CMA become part of the first-line genetic work-up for ASDs. Because of the dramatic increase in variations identified using CMA, the Autism Consortium recommends that CMA should be included in the first tier of diagnostic testing for children with ASD symptoms that have no clear genetic cause. Expectant parents who have family members with ASDs, as well as families who already have an affected child, often request genetic testing. However, there is still only limited knowledge about actual causative genes. The currently recommended tests (karyotyping to look for chromosomal abnormalities and testing for Fragile X syndrome, the single most frequent known genetic cause of ASDs), often come up negative. CMA is a genome-wide assay that examines the chromosomes for tiny, sub-microscopic deletions or duplications of DNA sequences, known as copy-number variants. CMA offers about 100-fold greater resolution than standard karyotyping. However, because it is new, it is often considered a second-tier test. Depending on where a person lives, or what insurance he or she has, CMA may not be covered by health insurance. "Based on our findings, CMA should be considered as part of the initial clinical diagnostic evaluation of patients with ASDs," said Dr. Bai-Lin Wu, co-senior author of the report and Director of Children's Hospital Boston’s DNA Diagnostic Lab, which has offered CMA to families since 2006. A potent new inhibitor of HIV infection, derived from bananas, may open the door to new treatments to prevent sexual transmission of HIV, according to a University of Michigan Medical School study. 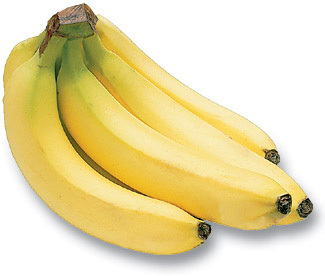 The research team discovered that BanLec, a lectin in bananas, can inhibit HIV infection by binding to the sugar-rich HIV-1 envelope protein, gp120, and blocking the virus’s entry to the body. In laboratory tests, BanLec was as potent as two current anti-HIV drugs. Based on their findings, the researchers believe that BanLec may become a less expensive new component of applied vaginal microbicides. New ways of stopping the spread of the HIV are vitally needed. The rate of new infections of HIV is outpacing the rate of new individuals getting anti-retroviral drugs by 2.5 to1, and, at present, it appears an effective vaccine is years away. "HIV is still rampant in the U.S. and the explosion in poorer countries continues to be a bad problem because of tremendous human suffering and the cost of treating it," said the study’s senior author Dr. David Markovitz, professor of internal medicine at the medical school. Although condom use is quite effective, condoms are most successful in preventing infection if used consistently and correctly, which is often not the case. "That's particularly true in developing countries where women have little control over sexual encounters, so development of a long-lasting, self-applied microbicide is very attractive," Dr. Markovitz said. Co-author Michael Swanson, a doctoral student at the medical school, is developing a process to molecularly alter BanLec to enhance its potential clinical utility. Clinical use is considered years away, but researchers say even modest success could save millions of lives.